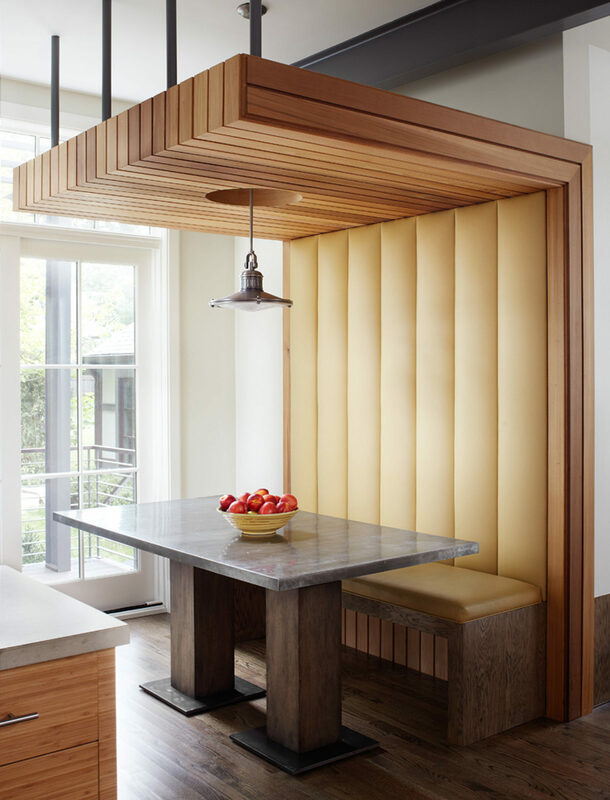 Morgante Wilson Architects used Kravet dining chairs around a custom dining table. 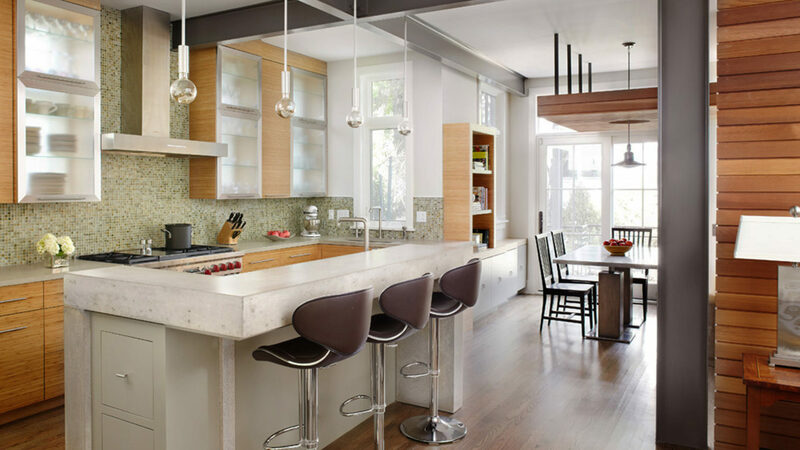 The Arteriors pendant above brings hints of metal into this oval Dining Room. 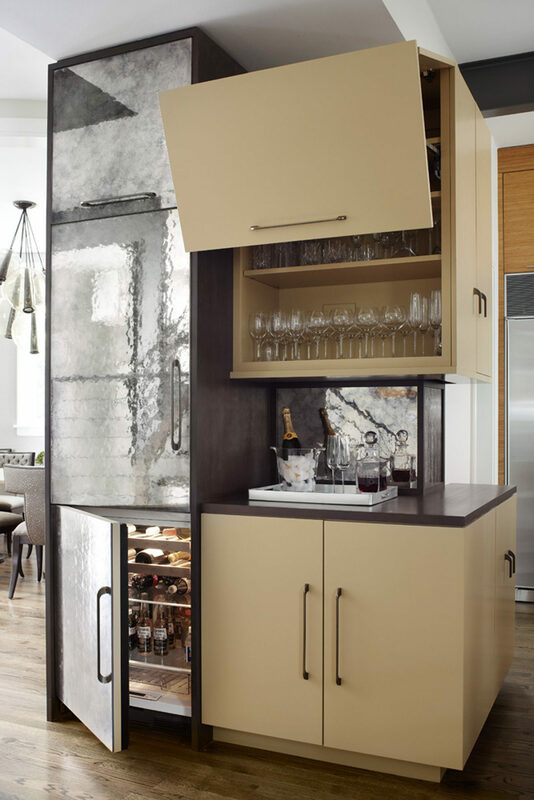 Morgante Wilson Architects designed this custom bar with hidden refrigerator. 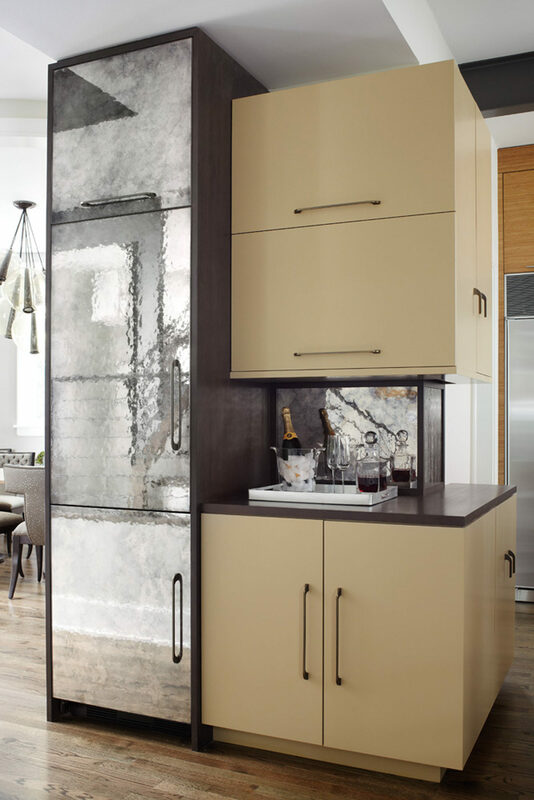 The tall antiqued mirrored cabinet is framed in walnut. 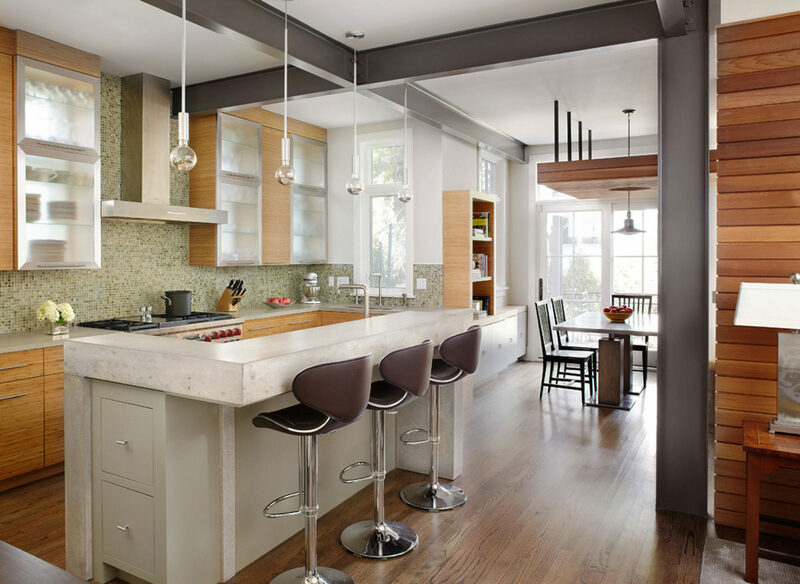 Morgante Wilson Architects kept the metal beams exposed and painted them a charcoal color. 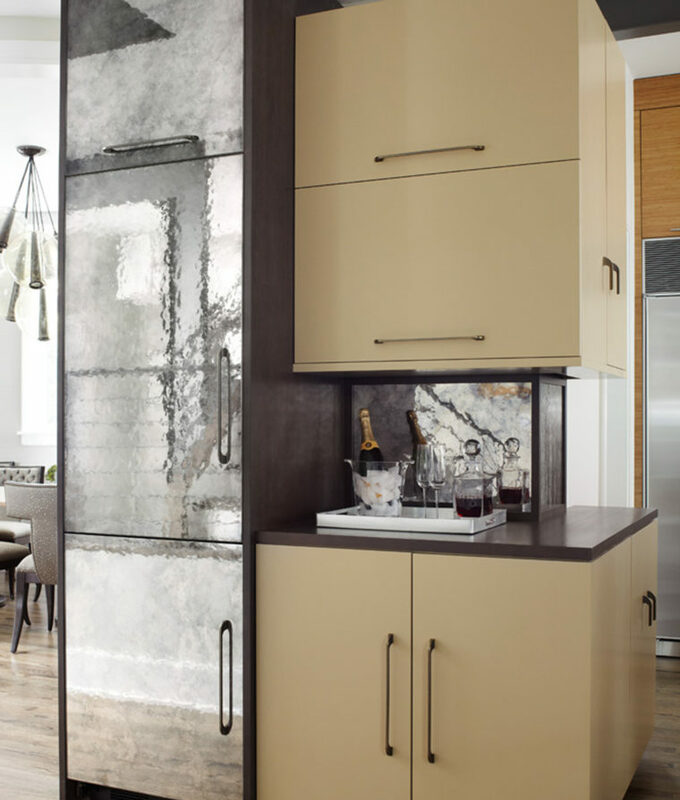 The perimeter counter tops are concrete to add an additional nod to the industrial feel. 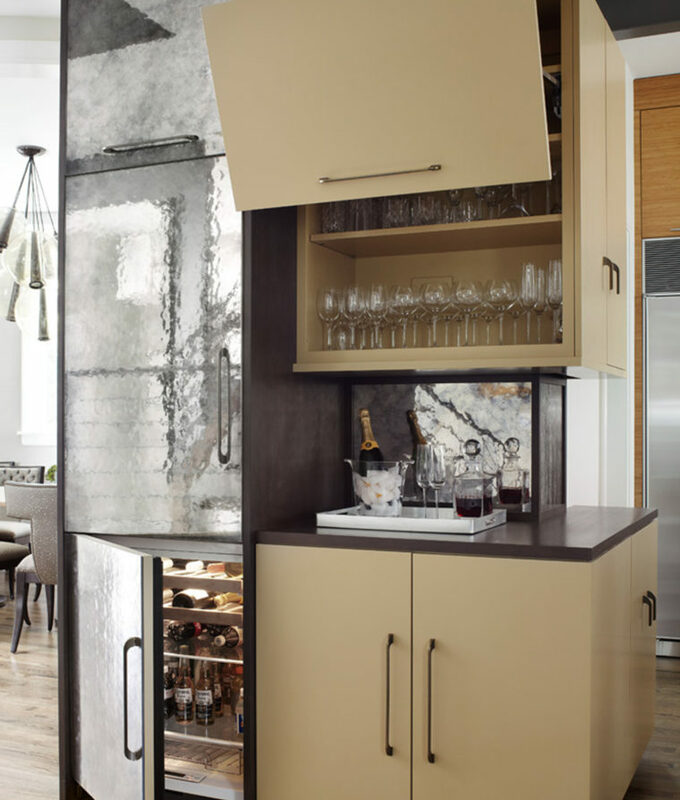 Storage is added underneath the island. Shelving was placed in front of the windows and hidden behind glass doors. 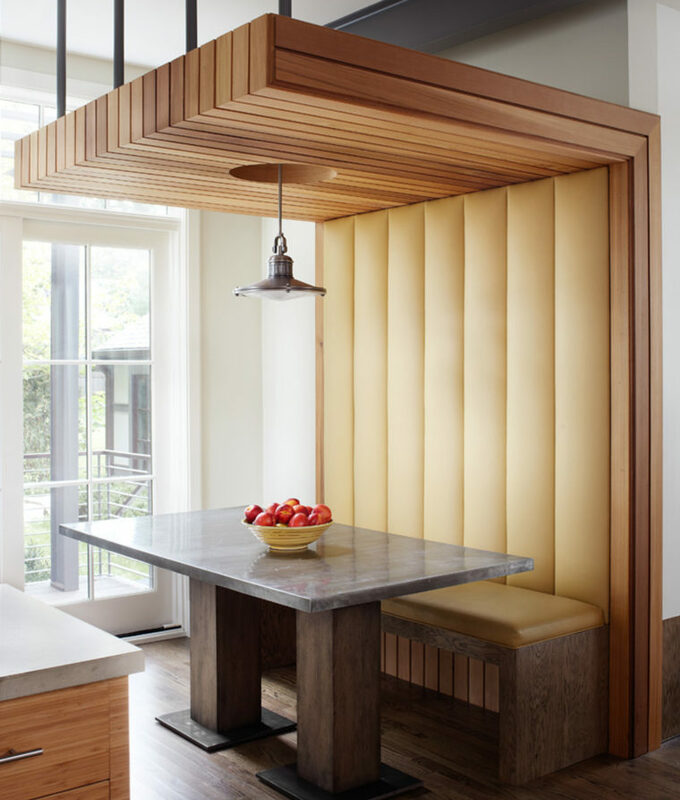 A custom banquette was designed and covered with vinyl fabric to ease maintenance and clean-up. The pedestal dining table has a top that is clad in zinc. 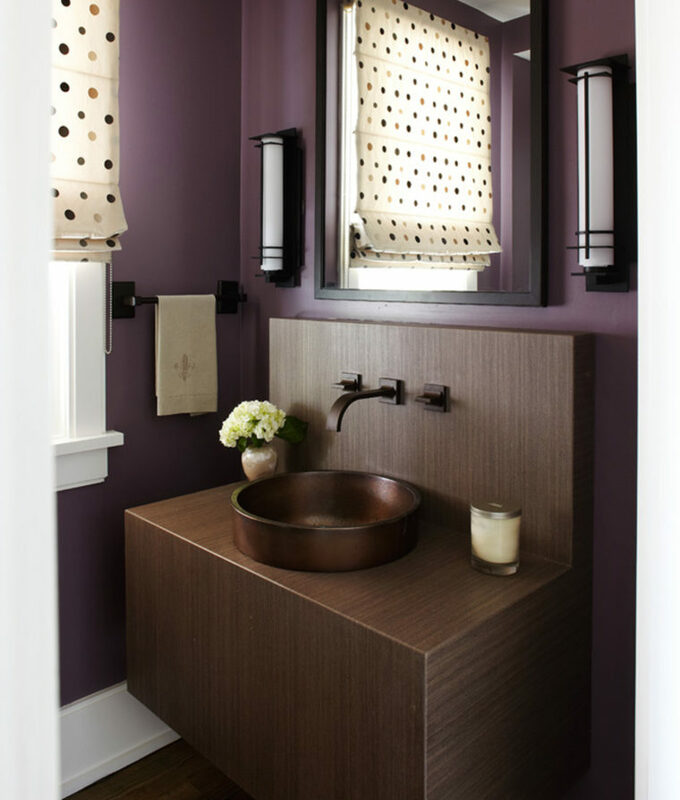 Morgante Wilson Architects installed a floating vanity in this small Powder Room. 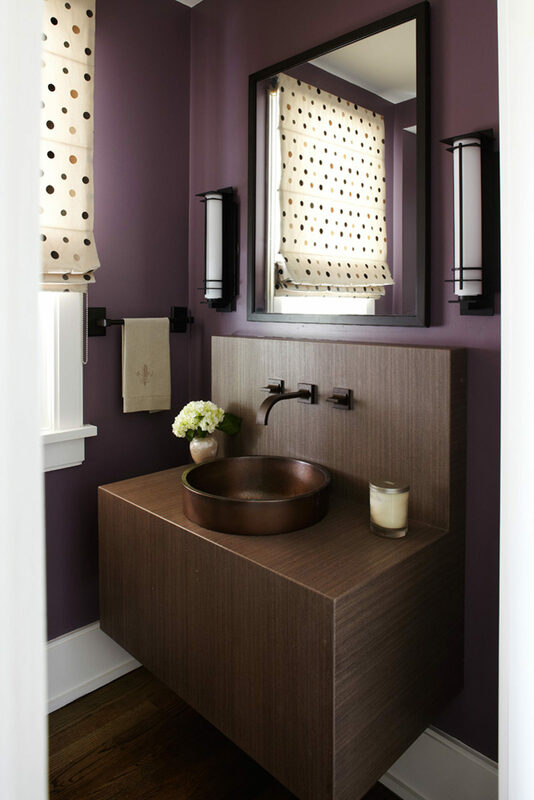 Plumbing and sconces are Bronze to keep a casual feel.